One of the benefits of working in a school is that I am able to enjoy half term and termly breaks when the school is closed for students and teachers. This allowed me to return to the wonderful north on the 25th May to visit my family and friends before I leave for Norway later this month. 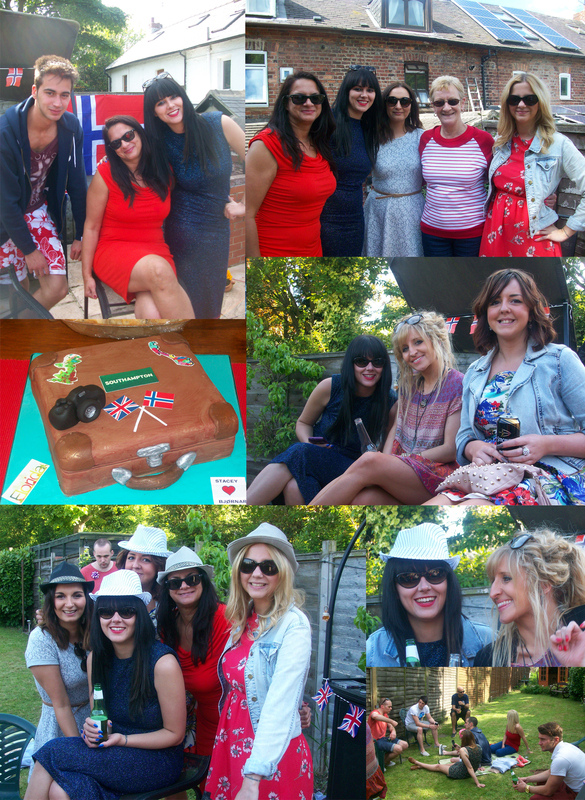 Plans for my leaving party had been underway for weeks and luckily enough, the fantastic weather held out! On Sunday morning, my mother and myself began setting up the garden for our guests and preparing food. She also revealed something that had been hiding away in a box; my cake! As you can see from the photo, it was shaped as a suitcase and featured both the Norwegian and England flag. Yummy! My Uncle had prepared a quiz on Norway, which was a surprise to everyone. This was great fun! Everyone got into pairs and me and my Grandma aced it, obviously! The question that made me laugh the most was “Which three countries share a border with Norway?” Some responses were Germany, Denmark and Switzerland… Needless to say, none of those were my answers! Overall, the party was great fun and everyone enjoyed themselves. Was rather glad that the weather didn’t disappoint also!